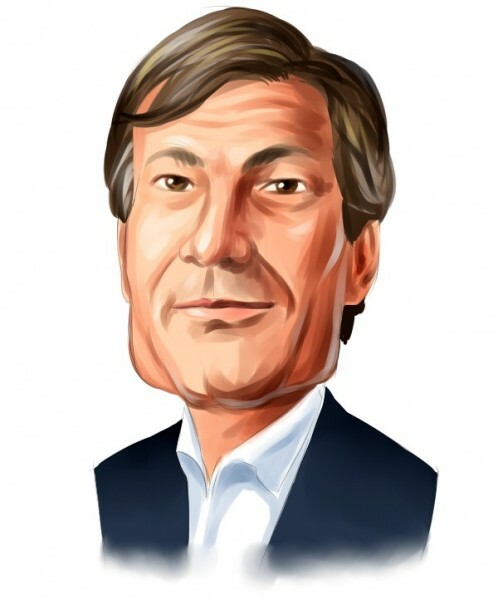 Jeff Ubben of ValueAct Capital is one of the 40 or so billionaire investors that we follow at Insider Monkey. His approach to investing is particularly interesting, because Ubben is an activist and prefers to hold a large, but concentrated equity portfolio, with positions in a relatively small number of companies. Moreover, his long-term focus, which usually covers a period of at least three years, makes him a good investor to emulate. We track over 700 hedge funds as part of our small-cap strategy that involves imitating the 15 most popular small-cap picks among them, and which has returned 102% since August 2012, beating the S&P 500 ETF (SPY) by some 53 percentage points (see more details here). The strategy is based on extensive backstests that covered the period between 1999 and 2012, which showed that the most popular small-cap stocks among hedge funds can beat the market by an average of 95 basis points per month, as opposed to their top picks, which consist of large- and mega-cap companies, and which underperformed the market by some seven basis points per month. However, Jeff Ubben doesn’t usually invest in small-caps and prefers large- and mega-cap companies, where he can push for changes through appointing directors to the board. At the end of June, ValueAct had an equity portfolio worth $19 billion, which consisted of only 14 holdings. These stakes delivered a negative return of 8.98% on a weighted average basis during the third quarter, based on Ubben’s positions in them as of June 30. Year-to-date, Ubben’s 13F portfolio is up by 0.9% using the same methodology. In this article we will take a look at five big moves made by Ubben during the second quarter and will see whether or not he made the right call. We will start with Valeant Pharmaceuticals Intl Inc (NYSE:VRX), in which ValueAct trimmed its exposure by 23% during the second quarter to 14.99 million shares. The stock lost over 19% between July and September, and keeps declining as bad news keeps coming. Just recently, Valeant Pharmaceuticals Intl Inc (NYSE:VRX) was subpoenaed by federal investigators over the prices on some of its drugs. Nonetheless, even if the company is forced to cut the prices on the two heart drugs in question, most likely its revenue will not be affected significantly. At the end of June, 98 funds from our database, including ValueAct, held stakes equal to over 29% of the company’s shares. Billionaire activist Bill Ackman of Pershing Square also likes Valeant Pharmaceuticals Intl Inc (NYSE:VRX) and was the top shareholder in our list, with a stake of 19.47 million shares. In Microsoft Corporation (NASDAQ:MSFT), ValueAct kept its position unchanged at 14.99 million shares, while the stock remained flat during the third quarter. Still, Microsoft Corporation (NASDAQ:MSFT) is almost 9% in the green over the last 52 weeks and analysts believe that the company is dealing relatively well with a struggling PC environment. Smart money also like the stock, which also sports a dividend yield of over 3%. First Eagle Investment Management is another investor that is betting big on Microsoft Corporation (NASDAQ:MSFT), owning 33.97 million shares. In Halliburton Company (NYSE:HAL), ValueAct inched up its position by 12% to 37.52 million shares. Overall the number of funds with stakes in the company (among those we track) went up by nine to 69 during the second quarter. However, the stock of the provider of services to the oil industry lost 17% in the third quarter as the company is facing an environment of low oil prices, which forces many exploration and production companies to cut their costs. Halliburton Company (NYSE:HAL)’s shares are down by nearly 4% year-to-date, underperfoming the industry by some seven percentage points. On Monday the stock will be in the spotlights as Halliburton Company (NYSE:HAL) will release its financial results for the third quarter, with analysts expecting EPS of $0.27 on revenue of $5.64 billion. Last week, Societe Generale and Robert W. Baird lowered their price targets to $46 and $38, along with ‘Buy’ and ‘Neutral’ ratings respectively. On the following page we’ll study two more of Ubben’s biggest positions ahead of the rough third quarter. IBM, Citigroup, P&G: Diamond Hill Capital Was Another Market Victim In... While Christian Leone Stands by this Slumping Stock, Andreas Halvorsen Reveals... Billionaire Investors Love These Five Dividend Stocks 11 Most Profitable Airlines In The World: Will It Last? Despite Weak Q3 Performance, You Should Follow Ken Fisher’s Favorite... How Did Stephen Mandel’s Portfolio Come Through the Third Quarter?